Tonight Megan played in her first basketball game. Her fifth grade team has been practicing for about two weeks and tonight they participated in a jamboree with two other schools. They played a fifteen minute quarter against each of the schools. Megan came off the bench and played quality minutes in each quarter. She did take a couple of shots but didn't get her first basket yet. 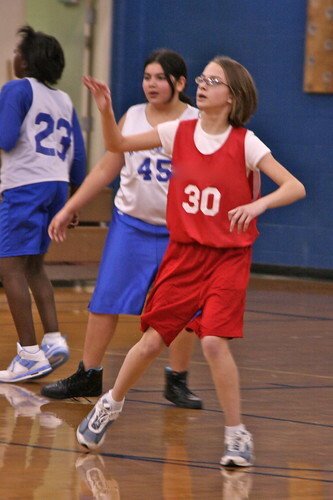 She did grab a rebound and had the ball in her possession a number of times.